We carry out all electrical works, from changing a light or adding sockets to full rewires. Domestic or commercial. We can issue full electrical condition reports ranging from homes, offices and boatyards, for insurance purposes or maybe you’re a landlord and want to protect the safety of your tenants. We are also fully registered with the NICEIC approved scheme. Why should homeowners choose an NICEIC electrician? To enroll with NICEIC all electricians, and anyone they employ, must comply with national safety standards and codes of practice. They are regularly inspected, which means NICEIC is a symbol you can trust, and is only displayed by electricians offering a dependable service. 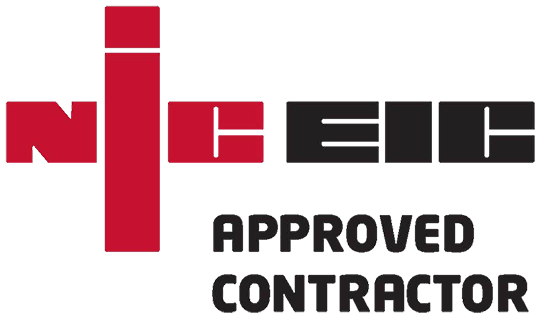 The NICEIC Insurance Backed Warranty covers work undertaken by contractors registered to the NICEIC Domestic Installer Scheme that is notifiable to Building Control. The purpose of the Warranty is to protect customers should any work be found not to comply with the Building Regulations under circumstances where the contractor is no longer in business to undertake the necessary remedial work. Thank you for reading my profile, please call for a free no obligated quotation. We are competitive and here to help .